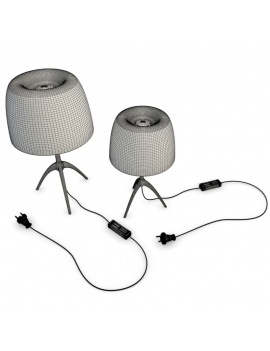 Detailed modeling of 2 table lamps, both modern and classic, ready to be installed in a bedroom, hotel lobby, office...wherever you want to give a soft atmosphere. 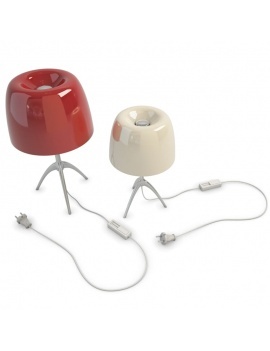 Coloured glass shade and metal tripod foot. You can find the collection of these lamps in the BOX 3D: "Refined Lamps Collection"
Bulb lighting are included (vray light).